Support: You can contact the support by sending an email to leon@tournavitis.de in Greek, English or German. Feel free to ask your questions or give us your opinion or feedback about Leon. In order to avoid spam please write in the subject of your email the word "Leon". 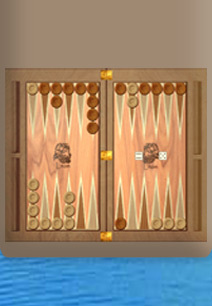 Tavli/Backgammon Server: If you want to setup a Tavli/Backgammon server and you need the AI for this, please don't hesitate to contact us. About us: Leon has been programmed by Kostas Tournavitis. I am working on artificial intelligence programs for a long time. Except Leon, i have also programmed Herakles one of the strongest Othello programs in the world using similar algorithms as for Leon (http://en.wikipedia.org/wiki/Computer_Othello). Herakles is provided as freeware. If you want to download Herakles go to: www.herakles.tournavitis.de.